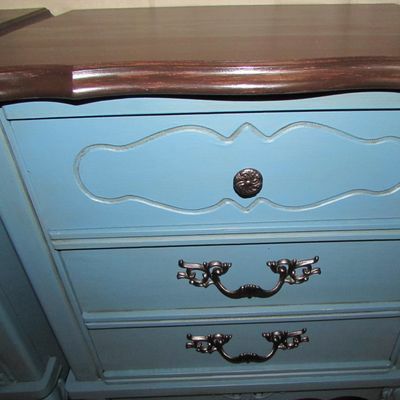 Want to breathe new life into your old, worn-out furniture? Then join us for this relaxed, fun and informative workshop. No need to make a mess at home, or buy lots of suppllies. Bring a small piece of furniture and transform it during this class. Some suggestions are a nightstand, chair, small side table, or large decorative frame. (You'll need to carry it upstairs to the classroom area and down again.) You will learn single color painting, distressing and wax application. You’ll leave the class with a beautiful, finished piece of furniture and the confidence to transform all your projects! Feel free to book more that one class if you think you'll need more time. All supplies are provided (excet your item to be painted) Class sizes are small – be sure to secure your space.